William B. Eerdmans Publishing Company, 9780802872715, 208pp. The world is going to hell. So begins this book, pointing to the prevalence of apocalypse -- cataclysmic destruction and nightmarish end-of-the-world scenarios -- in contemporary entertainment. 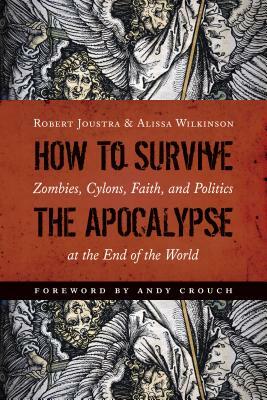 In How to Survive the Apocalypse Robert Joustra and Alissa Wilkinson examine a number of popular stories -- from the Cylons in Battlestar Galactica to the purging of innocence in Game of Thrones to the hordes of zombies in The Walking Dead -- and argue that such apocalyptic stories reveal a lot about us here and now, about how we conceive of our life together, including some of our deepest tensions and anxieties. Besides analyzing the dsytopian shift in popular culture, Joustra and Wilkinson also suggest how Christians can live faithfully and with integrity in such a cultural context. Robert Joustra is director of the Centre for Christian Scholarship and assistant professor of international studies at Redeemer University College, Ancaster, Ontario. Alissa Wilkinson is assistant professor of English and humanities at The King's College, New York City, and chief film critic at Christianity Today.